The SimulTOF Viewer application is a general purpose tool to browse and display Job Results. 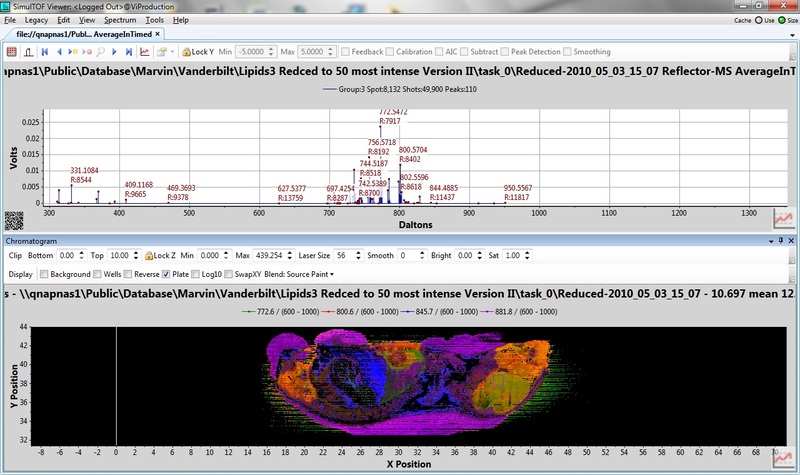 You can choose chose what data you want to view, perform calibration, smoothing, chromatograms. Chromatograms that can plot resolution, intensity, mass accuracy, etc.